Since then, she has participated in Bathroom BlogFest (see Bathroom Blogfest 2011: Takes Place Next Week!) and continues to be an ongoing source of visual, social and digital inspiration for me. 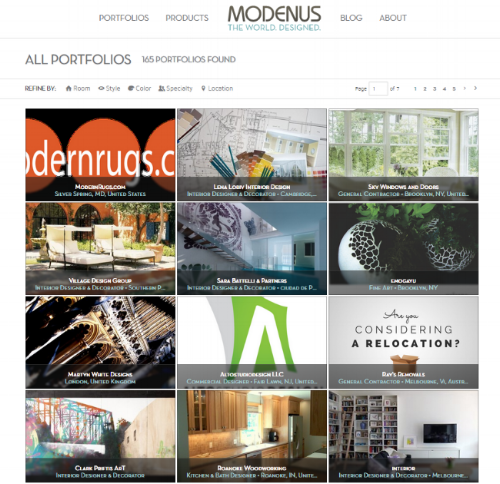 Modenus prides itself on being a curated online design resource which brings together a worldwide community of designers, design enthusiasts and manufacturers. You'll find Modenus actively supporting its community with an expansive social media network - on Facebook, Twitter, Pinterest and Instagram - as well as strong editorial content and valuable trade show partnerships (e.g., the Best of KBIS). I encourage you to explore Modenus.com if you haven't already - and especially after reading this interview with Veronika where she discusses the evolution of Modenus, the launch of Modenus.com 3.0 and digital marketing. C.B. : Veronika, tell us about yourself and your background. V.M. : How much time do you have? The short version is that I grew up in Europe, mostly Germany but also quite a bit of time in France (yes, in the South of France, haha!). 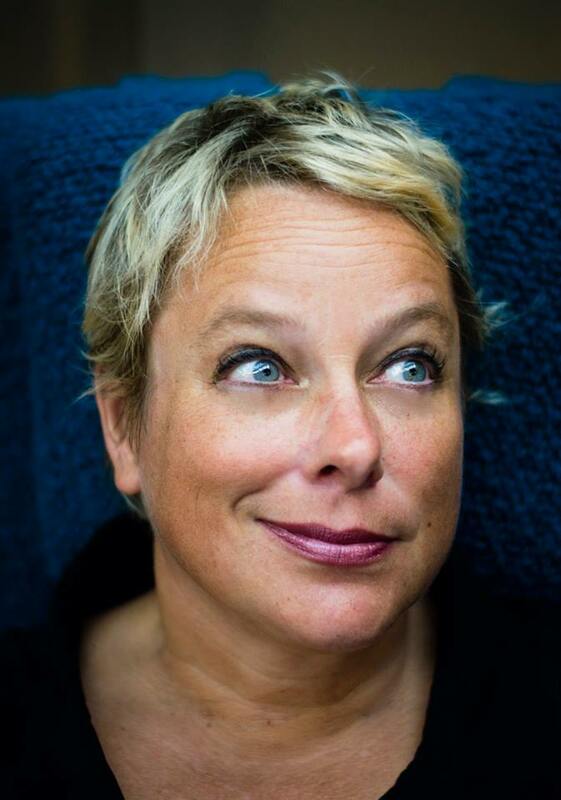 I went to business school in Munich where I received my degree in marketing and communications and worked at Heye + Partner, an agency in the DDB Needham agency group. I moved to the U.S. in the early 90s and went back to college for degrees in interior design and kitchen/bath design, the first NKBA endorsed college program. For the next ten years, I ran a successful design firm as well as an import firm, bringing German kitchen cabinetry into the North American market. C.B. : How did you get started with Modenus? In 2006 divorce forced me to close my design and import firms and begin working from home and, while difficult at the time, proved a blessing in disguise. I continued work and was safely ensconced in an overhead free situation when the market crashed in 2008 and many design firms, especially in Florida, lost everything. With the market being weak, I took a year off to figure out what to do next and during that year taught myself about web design, blogging and social media. With so many designers having had to close shop or downsize, I felt that there were advantages to lower overhead but certain things were missing: Location, engagement with a team and buying power. This is what I set out to create virtually with Modenus. It was meant to be a place where design pros and consumers could find information, inspiration and ideas and where they could connect with each other. C.B. : How did you come up with the name Modenus? V.M. 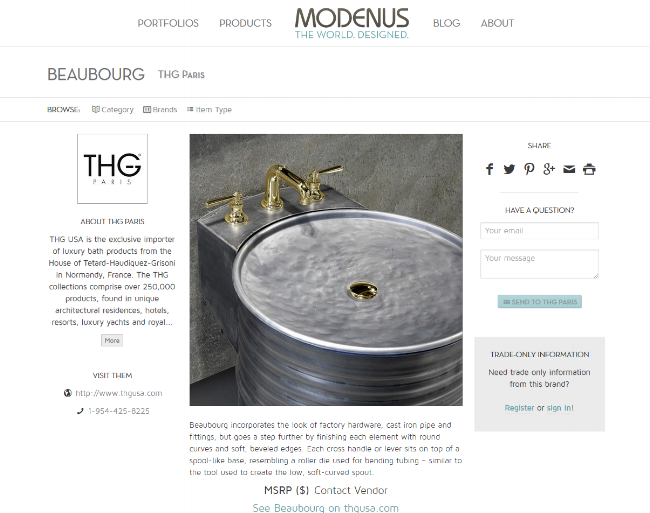 : Modenus is a play on words, mashing up MODERN, DESIGN and DOMUS (the home). Oddly, V1 and V3 are not all that different in terms of underlying vision. V1: Launched in 2010, V1 included a curated catalog (we review every brand to make sure it fits a high standard of quality, design and also innovation and creativity), a business card page for design pros in our designer directory, the blog and discussion forums for design pros and for pros and consumers. We realized quickly that not all of these good ideas could be contained on a website when people were beginning to connect with each other on social media, especially LinkedIn and Twitter, so we decided to close the forums and bring the conversation onto these already existing platforms. V2: An updated version was launched in 2013 with focus on improved design portfolios and an ability to aggregate content for BlogTour which was growing in leaps and bounds, creating hundreds of blog posts per tour. C.B. 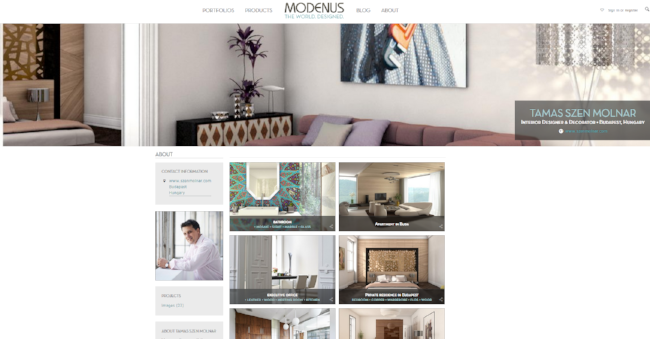 : So, what makes Modenus.com 3.0 remarkable? V.M. : The Catalog and Projects. 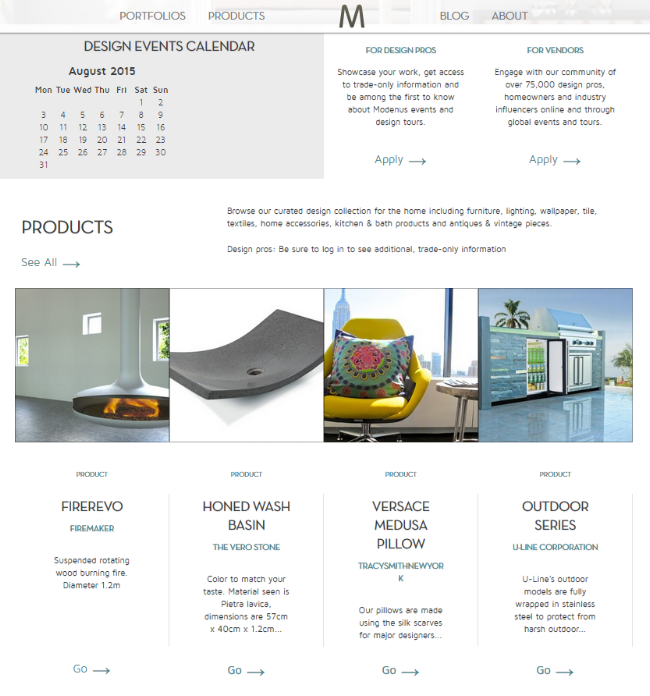 Enhanced product pages now allow brands to display multiple images (finishes, room settings) per product as well as brochures, price or specification documents, videos and any other files they want to share with consumers or with trade-only. Brands can share trade terms or product/brand specific messages like sample sales or event information. Brands decide who sees the message, i.e., everyone or trade-only. BrandFollow is a new feature that allows site visitors to follow a brand and receive updates when the brand adds/edits products or information. In other words, new product information gets to brand followers in a targeted and timely manner. Projects can be created by all site visitors but will only be publicly visible for design and industry pros (including interior, NKBA designers, architects, landscape designers etc but also bloggers, stylists, stagers and so on. Select premium brands can be invited by Modenus editors to also host a project portfolio (MrSteam, manufacturer of steam shower generators, for instance, would be invited and could feature designers who have used MrSteam). Project boards can be public or they can be left private for sharing with select clients or team members. Project boards can be arranged in a number of grids to best display projects or products. Images in the project boards can be dragged and dropped and dragged around the page (unlike Pinterest for instance, where image order is in order of upload) allowing for more creative control over the final look. C.B. : What are the biggest concerns that brands and trade professionals face in the marketplace and online? V.M. : And another loaded question to which my first answer has to be noise! Brands have, for the most part, adopted some sort of social and digital strategy, often one that is similar to advertising strategies which are largely based on self promotion and monologues, often not seeking or even avoiding real engagement with possible buyers. Social media agencies have helped tremendously in bridging the gap between buyers and brands by managing engagement on behalf of their brands but we're now moving to another level, one of over-engagement. Blogger outreach programs by brands are de rigeur, as are designer collaborations. But again, because a good idea is quickly picked up on and copied, there is constant pressure for brand campaigns and initiatives to change and remain relevant/creative. Only a select few marketeers have managed to keep their clients/brands above the fray. The challenge is to get up very early in the morning and come up with something that hasn't been done before, that sticks, that turns heads and doing it before everyone else wakes up. Trade professionals have seen many new opportunities and now that business is much much healthier again, quite a few of them are reaping the rewards but with that, we see more change and we need to be ready for it. Some design pros who had taken to blogging to increase their visibility and design authority have now gone back to work! Others had at some point abandoned their design practice altogether and are now more or less full time media (me!) and others again have found a way to combine the two, as brand ambassadors, successful (read: monetizing) bloggers, spokespeople, product licensing partners and so on. Blogging and social media have actually seen somewhat of a downturn in recent months (which was to be expected) thus naturally re-structuring the playing field and this new media world. Trade pros do struggle with IP rights and continue to battle relationships with brands, especially now that business is up and bigger brands are less likely to want to engage with a small studio designer versus an inventory carrying showroom or larger online outlet. C.B. : How do BlogTour, media tours and Modenus Talks fit in? V.M. : Very well, if I may say so myself. BlogTour offers groups of bloggers, journalists and social media influencers value. The groups are invited to a (typically) five day, all expense paid trip within the US or even to Europe. In exchange for the opportunity, the team commits to promoting the sponsors through blogs and social media posts. This makes Modenus a third party, a partner to both, influencers and brands. Brands receive lots of coverage and social media engagement, typically around 6-8 million brand name impressions per tour and the participants get the trip, lots of behind-the-scenes experiences and often added blog and social media visibility. But, that's not all - the direct engagement between the group and the brand is hugely important. It becomes less about brand message and more about personal relationships - and those can lead to other collaborations and, simply, to sales. Our influencers are almost always design pros as well - and they buy from brands they connect well with. Same is essentially true for our media tour events and Modenus Talks as well. We bring people together and we get them to talk. That's it ! We do have BlogTours scheduled for 2016, to Las Vegas for KBIS and to NYC for ICFF and there's a lot more happening. We will be hosting Modenus Talks events in Chicago in October and in Miami in December and THEN, we will be launching another new concept that will pick up on BlogTour's momentum and take it a step further. C.B. : Which social networks have you found most effective for brands, trade professionals and Modenus? V.M. : When I started out, definitely Twitter. We had real conversations there (I'm sure you remember that time). Then things moved more quickly with Facebook taking a lead followed by Pinterest and now, the all mighty Instagram and a number of up and coming video channels. Pinterest was good for creating style boards so trade pros could show off their sense of style without always showing their own work and brands use it heavily because it is a very good traffic generator because it links back to the image source. Facebook will do what Pinterest does but it largely requires payment, not much though and we always recommend paid Facebook campaigns, less boosted posts but more boosted pages and/or website links. Instagram is the new favorite right now but we have to wait and see what happens as it is just moving into monetization. For now, it's the place to be and build yet another community. C.B. : What do you like to do when not evolving Modenus? V.M. : Not evolve???? Next you'll ask about favorite vacation spots? When I'm not working, I spend time with my three amazing daughters and my slightly paranoid Border Collie. I don't take much time off but when I do I garden or paint (one room after another) walls in my lovely historic home. I also love to travel but with that often being work related I just really enjoy curling up at home. Books are very important in my life and so are good friends and evenings spent with good conversation and a cocktail or two. Oh... and I write. A lot. With pen and on paper. Surprised? C.B. : Veronika, I'm not! Which digital tools do you use for managing digital complexity and your business? V.M. : Hootsuite for our social platforms. Nimble for contact management. Trello for project management. C.B. : What advice do you have for trade professionals and brands? V.M. : My advice for anyone looking for an opportunity in this industry, brand, influencer or design pro - is to ask yourself: What's in it for them? How can you benefit the person or company you're pitching to. Brands often think that featuring a designer on their website should suffice because they're giving them exposure (an often maligned word). that may be true for someone that has no digital visibility but if offered to someone with 100,000 social media followers, the opposite may be true, so.... know whom you're talking to. Design pros and bloggers often look for benefits in terms of discounted product, free product or payment for content... again, what's in it for them? If a blogger has decent traffic and a demographic that makes sense for a brand? Great. If they can write well and provide good photography? Awesome. If they also have a good social following with which they can share a sponsored post? Even better. So the answer is always in what we can deliver and if it makes sense for a brand. C.B. : Veronika, what is the best way to reach you? Or try @modenus virtually everywhere or chat@modenus.com. C.B. 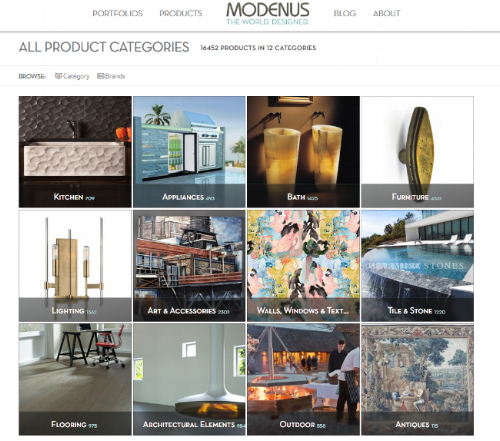 : Veronika, thanks very much and congratulations on Modenus.com 3.0! What's your reaction to Veronika's comments? What's your take on how digital marketing is changing and how Modenus.com has evolved? How do you encourage thinking about 'what's in it for them" when you build connections?